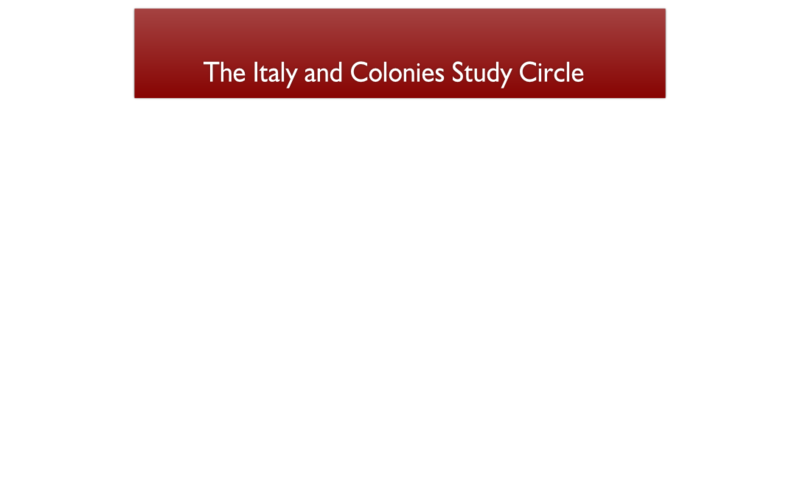 The Italy and Colonies Study Circle is a society dedicated to the study of the stamps and the postal history of the Italian area. (Why Italy? Click here!) . The membership is drawn from around the world, with the majority coming from the UK, Italy and the USA. UK members meet four times a year in London, and there is usually at least one overseas meeting each year, often linked to an international stamp show. The society publishes a highly acclaimed quarterly journal called Fil-Italia. It is the only significant source of information on Italian philately in the English language. The society holds an auction for members at each London meeting, and there is a thriving packet system and library. trip to Puglia are now on-line.